Can we create a morality pill? Neuroscientists are discovering how hormones and brain chemicals shape aspects of social behavior relevant for morality, including empathy, cooperation, aggression, trust, and altruism. This work opens potential avenues for pharmacological manipulation of ethical values. In this session, speakers will review studies demonstrating how neuromodulators shape moral decisions, evaluate the evidence for and challenges facing the development of moral-enhancing interventions, and discuss the ethical implications of shaping human morality. 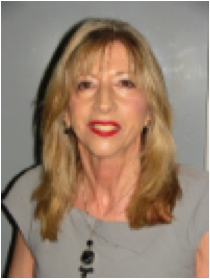 Barbara J. Sahakian is Professor of Clinical Neuropsychology at the Department of Psychiatry, University of Cambridge School of Clinical Medicine, and Honourary Consultant Clinical Psychologist, Cambridge University Hospitals NHS Foundation Trust. 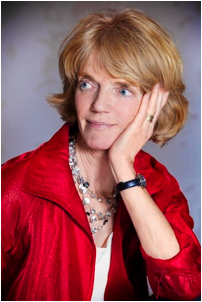 After completing a Ph.D. in Experimental Psychology at The University of Cambridge, she studied for a Diploma in Clinical Psychology, became a Chartered Psychologist, and was a founding member of the International Neuroethics Society. She has an international reputation in the fields of cognitive psychopharmacology, neuroethics, neuropsychology, neuropsychiatry and neuroimaging. She is co-inventor of the CANTAB computerised neuropsychological tests, which are in use world-wide. She is probably best known for her research work on cognition and depression, cognitive enhancement using pharmacological treatments, neuroethics and early detection of Alzheimer's disease with over 200 publications in leading scientific journals. Her current program of research, funded by the Wellcome Trust and Medical Research Council, investigates the neurochemical modulation of impulsive and compulsive behavior in neuropsychiatric disorders, such as unipolar and bipolar depression and attention deficit hyperactivity disorder. Julian Savulescu holds the Uehiro Chair in Practical Ethics at the University of Oxford, and is the Director of the Oxford Uehiro Centre for Practical Ethics within the Faculty of Philosophy. He also is Director of the Oxford Centre for Neuroethics, which is one of three strategic centres in biomedical ethics in the UK funded by the Wellcome Trust. Professor Savulescu is the Director of the Institute for Science and Ethics (which is one of the 10 founding Institutes within the Oxford Martin School at the University of Oxford. In 2010 he was appointed an Honorary Professorial Fellow at the Florey Neuroscience Institutes, one of the world’s top 10 neuroscience institutes, for a period of 3 years. He is a recognized world leader in the field of practical ethics. 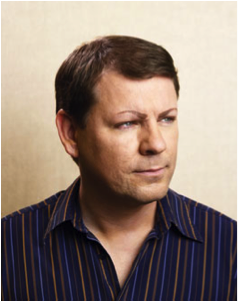 He is author of over 250 publications with an H index of 32 and 100 cited publications. He has lectured around the world. He is Editor of the Journal of Medical Ethics and founding editor of Journal of Practical Ethics, an open access journal in Practical Ethics to be launched in 2013. His book, co-authored with Ingmar Persson, Unfit for the Future: The Need for Moral Enhancement was published by Oxford University Press in July 2012. Patricia Smith Churchland is a Professor emerita of Philosophy at the University of California, San Diego, and an adjunct Professor at the Salk Institute. Her research focuses on the interface between neuroscience and philosophy – a new endeavor called neurophilosophy. She explores the impact of scientific developments on our understanding of consciousness, the self, free will, and ethics. On the topic of consciousness, her approach is to synthesize results and ideas from a range of research projects from psychology to neurochemistry, to test whether they fit with each other or not, whether they make sense or not, and what new theories and experiments they might spawn. She is author of Neurophilosophy (MIT Press 1986), and Brain-Wise (2002, MIT Press). 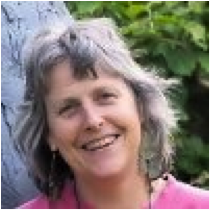 She is co-author with T. J. Sejnowski of The Computational Brain (MIT 1992), co-author with Paul Churchland of On The Contrary (MIT 1998). Her current work focuses on morality and the social brain, and appeared in Braintrust: What Neuroscience tells us about Morality, published in March 2011 by Princeton University Press. Her newest book is Touching a Nerve (Norton, summer 2013). She has been president of the American Philosophical Association and the Society for Philosophy and Psychology. She won a MacArthur Prize in 1991 and the Rossi Prize for neuroscience in 2008. She was chair of the UCSD Philosophy Department from 2000-2007. She has done many presentations for television, including for Bill Moyers (1988), and most recently in the Charlie Rose and Eric Kandel series: The Brain. Molly Crockett received her PhD at the University of Cambridge. Her doctoral work focused on the influence of serotonin on social decision-making. Currently, Molly is studying the neural basis of reciprocity, altruism and morality with the support of a Sir Henry Wellcome Postdoctoral Fellowship, collaborating with economists at the University of Zurich (Department of Economics) and neuroscientists at University College London. Her current projects combine economic and neuroscientific approaches to understanding social behavior. States of Consciousness: Neuroethics in impairments of consciousness, brain-machine interfacing and end of life decisions? Recent brain-imaging studies detected covert awareness in a small proportion of patients in vegetative or minimally conscious state. In rare cases patients were even able to answer yes or no questions. Brain stimulation can lead to behavioral improvements of the minimal conscious. What are the ethical and legal implications of these findings for withdrawal of life-sustaining treatment or food and fluid? How reliable is communication via a brain-computer interface especially when it comes to end of life decisions? This panel will discuss a broad range of clinical challenges as well as ethico-legal implications with four renowned experts in the field. 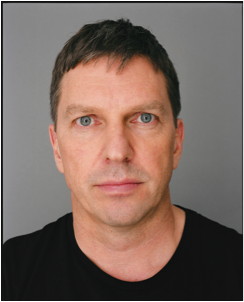 Jens Clausen is assistant professor at the Institute for Ethics and History in Medicine, University of Tübingen as of February 2008, managing director of the Clinical Ethics Committee of the University Hospital Tübingen, and member of the Center of Integrative Neuroscience (CIN). He studied biology and philosophy and focuses his research on ethical and anthropological implications of modern neurosciences with special respect to brain technological devices, enhancement and regenerative medicine. Joseph J. Fins is The E. William Davis, Jr. M.D. Professor of Medical Ethics and Chief of the Division of Medical Ethics at Weill Cornell Medical College where he also serves as Professor of Medicine (with Tenure). 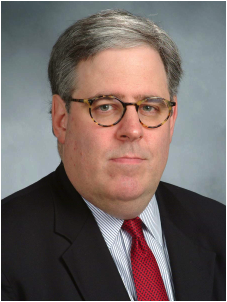 He co-directs the Consortium for the Advanced Study of Brain Injury (CASBI) with Dr. Nicholas D. Schiff. Dr. Fins was graduated from Wesleyan University (B.A. with Honors, The College of Letters, 1982) and Cornell University Medical College (M.D., 1986). He completed his residency and fellowship in Internal Medicine at The New York Hospital-Cornell Medical Center. The author of over 250 publications, Dr. Fins is a co-author of the 2007 Nature paper describing the first use of deep brain stimulation in the minimally conscious state and the author of the forthcoming book, Rights Come to Mind: Brain Injury, Ethics & The Struggle for Consciousness under contract with The Cambridge University Press. Dr. Fins is a Master of the American College of Physicians and current President of the American Society for Bioethics and Humanities. He is an elected Member of the Institute of Medicine of the National Academy of Sciences and a Fellow of the American Academy of Arts and Sciences. John Pickard is Professor of Neurosurgery in the University of Cambridge, Chairman/Clinical Director of the Wolfson Brain Imaging Centre and Divisional Director for NHS Neurosciences at Addenbrooke’s Hospital. 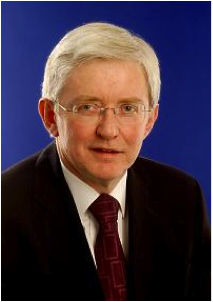 He leads a multidisciplinary team of clinical researchers, physicists, radiochemists, engineers, mathematical modellers and neurochemists, with extensive collaboration with neuropsychology, dedicated to advancing the care of critically ill patients after brain injury from ictus through recovery from coma and rehabilitation to final outcome including the vegetative state. His clinical practice has included subspecialisation in complex necks and cerebrovascular surgery and is now focussed on the pituitary, tumours of the IIIrd ventricle and CSF problems. He is now establishing a new NIHR Healthcare Technology Cooperative for Brain Injury. He has published over 450 papers, co-authored a monograph on ‘Pseudotumor cerebri syndrome’ and has been Editor of British Journal of Neurosurgery, Advances and Technical Standards in Neurosurgery and Neurosurgical Editor of JNNP. He is Immediate Past-President of the Society of British Neurological Surgeons, Chairman of the Joint Neurosciences Council and Honorary Civilian Consultant for Neurosurgery to the Army. Nicholas D. Schiff, MD is physician-scientist with broad interests in the area of neurological disorders of consciousness. His research bridges basic neuroscience and clinical investigative studies of the pathophysiology of impaired consciousness, the neurophysiological mechanisms of arousal regulation, and the effects of deep brain electrical stimulation techniques on forebrain integration. 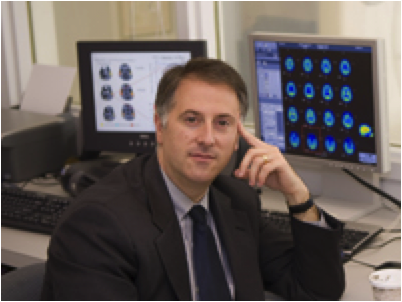 He is Director of the Laboratory of Cognitive Neuromodulation where he conducts research examining neurophysiological mechanisms of arousal and forebrain integration as well as clinical studies of the pathophysiology of impaired consciousness. A diplomat of the American Board of Psychiatry and Neurology, Dr. Schiff is a graduate of Stanford University (B.A. with Distinction and Departmental Honors, 1987) and the Cornell University Medical College (M.D. with Honors in Research, 1992). He completed his residency in Neurology at the New York Hospital where he trained with Drs. Fred Plum and Jerome Posner and developed his subspecialty interests in the field of impaired consciousness. Dr. Schiff is a co-author of the 4th Edition of Dr. Plum and Posner's classic textbook "The Diagnosis of Stupor and Coma". Dr. Schiff is an elected member of the American Neurological Association. His long-range goals are to develop neuromodulation strategies and improved diagnostics for the rational therapy of chronic cognitive disabilities resulting from brain injuries. Dr. Schiff's research efforts are supported by federal grants from the NIH (with current and past support from NINDS, NIMH, and NIDDR), private foundations (Charles A. Dana Foundation, James S. McDonnell Foundation), and industry (IntElect Medical, Inc). Fins JJ. Rights Come to Mind: Brain Injury, Ethics and the Struggle for Consciousness. New York: Cambridge University Press, 2014 (expected). Criminality & the Capacity for Rehabilitation? This panel will discuss neuroscience and psychological studies that inform 1) how information processing (particularly social information) and decision-making may be mediated differently in individuals at different ages and 2) the capacity for plasticity in the brain across the lifespan, biomarkers of plasticity, and implications for rehabilitation. Holly Moore is originally from Champaign County, Ohio, USA. She received a dual-degree in Psychology and Chemistry from Wright State University in Dayton Ohio, USA where she was introduced to research in the fields of developmental psychobiology and behavioral neuroscience by Michael Hennessy, PhD. She earned her Doctorate of Philosophy from The Ohio State University under the guidance of Martin Sarter, PhD and John P. Bruno, PhD with whom she conducted studies using in vivo neurochemical and cognitive neuroscience approaches to examine the regulation of the basal forebrain cholinergic system and its role in attention. 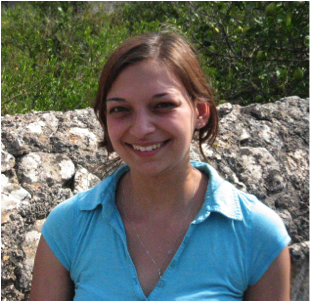 Her postdoctoral work at the University of Pittsburgh with Anthony A. Grace, PhD integrated these approaches with in vivo electrophysiological and quantitative neuroanatomical methods to study possible pathogenic mechanisms in schizophrenia using rat models. 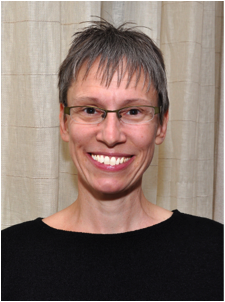 She is presently an Associate Professor of Clinical Neurobiology in Psychiatry and Research Scientist VI at Columbia University College of Physicians and Surgeons, Department of Psychiatry and The New York State Psychiatric Institute. Dr. Moore’s laboratory uses genetic, environmental, and pharmacological manipulations across development in rats and mice to examine plausible relationships between specific neuropathological and psychopathological phenotypes in schizophrenia-related disorders and identify developmental changes in cortico-limbic circuits that may contribute to the risk for these disorders. 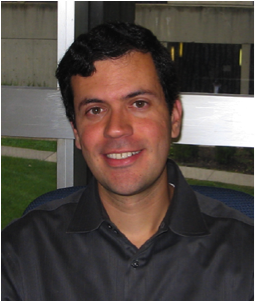 Mauricio Delgado is an Associate Professor of Psychology at Rutgers University. He is the director of the Social and Affective Neuroscience Lab and the associate director of the Rutgers University Brain Imaging Center. Dr. Delgado completed his graduate studies at the University of Pittsburgh and a postdoctoral fellowship at New York University. His research program investigates how the human brain learns from rewards and punishments, how it uses this information to guide behavior during both simple decisions (e.g., learning actions which lead to desired outcomes) and complex social interactions (e.g., learning to trust another person), and how it controls or regulates our emotions to avoid maladaptive decision-making. Dr. Delgado was the recipient of the 2009 Presidential Early Career Award for Scientists and Engineers and his research is funded by grants from the National Institute on Drug Abuse, the National Institute of Mental Health and the National Science Foundation. J. David Jentsch received his Bachelor’s degree in behavioral biology from The Johns Hopkins University (1992) and his PhD in neurobiology from Yale University (1999). His graduate work, conducted under the supervision of Professor Robert Roth, focused on characterizing the biochemical changes in prefrontal cortical regions associated with prolonged experience with drugs of abuse. After conducting post-doctoral training periods at the University of Pittsburgh and Yale University, Dr. Jentsch was appointed as an Assistant Professor at UCLA in 2001, where he is now a Professor in the Departments of Psychology and Psychiatry; he is also Associate Director for Research of the Brain Research Institute. His research focuses on genetic and neurochemical mechanisms that influence cognition, impulse control and decision-making in laboratory animals. 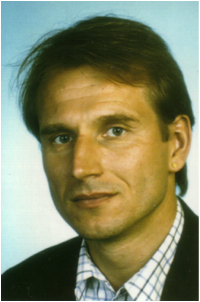 In reaction to escalating extremism amongst animal rights activists, which culminated in the firebombing of his car in 2009, Dr. Jentsch formed the group Pro-test for Science. He and his colleagues play a prominent role in scientific advocacy by participating in the response of the scientific community to attacks against researchers. In line with these efforts, Dr. Jentsch is a member of Board of Directors of the biomedical research advocacy group: Americans for Medical Progress. Catherine Sebastian is a Lecturer [Assistant Professor] at Royal Holloway, University of London. She studied psychology and neuroscience at the University of Oxford, before completing a PhD and postdoc at University College London. She is interested in the development of social and emotional processing during adolescence. In particular, her research looks at how young people learn to regulate or control their emotions, and how this relates to socioemotional wellbeing and mental health. She has worked with typically developing adolescents as well as those with autism spectrum conditions and conduct problems. 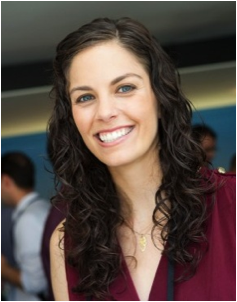 She uses research methods from cognitive neuroscience and developmental psychology, including functional and structural neuroimaging, cognitive testing, and questionnaires. 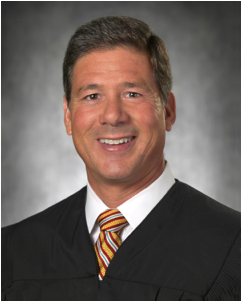 Honorable Robert Trentacosta, Presiding Judge, San Diego Superior Court, Superior Court of California, the third largest court in the United States. Judge Trentacosta has held numerous leadership positions within the court including Assistant Presiding Judge and Supervising Criminal Judge. He is a member of the California Supreme Court Ethics Committee providing ethical advice to all judges in the State of California. In addition, he is the Vice-Chair of the Presiding Judge Advisory Committee representing the 58 counties in the State of California tasked with providing advice and recommendations to the Chief Justice of the California Supreme Court. In 2013 Judge Trentacosta was named “Judge of the Year” by the San Diego County Bar Association Law Foundation. Groman SM, Jentsch JD. Identifying the molecular basis of inhibitory control deficits in addictions: neuroimaging in non-human primates. Curr Opin Neurobiol. 2013 Mar 22. pii: S0959-4388(13)00068-8. doi: 10.1016/j.conb.2013.03.001. Volkow ND, Baler RD. Neuroscience. To stop or not to stop? Science. 2012 Feb 3;335(6068):546-8. Solis M. Enhancing the Brain's Flexibility Could Unseat Addiction. Scientific American Mind. March 2013. Neural responses to affective and cognitive theory of mind in children with conduct problems and varying levels of callous-unemotional traits.